Nathan Scalise blends the rhythmic drive of rock, direct expression of folk, formal considerations of classical music, and ecstatic emotion of gospel into an accessible and individual compositional voice. His music has been performed professionally by artists including Contemporaneous, the Momenta Quartet, Andrew Fuchs, Jordan Bowman, the Ajax Quartet, 3G Percussion, Jacqueline Horner-Kwiatek, Modern Medieval Trio, Dolce Suono Trio (2017 Steven Stucky Young Composers Competition Winner), Out of Bounds Ensemble, Contemporary Columbus, Opera Elect, Angela Collier-Reynolds (selected through Fifteen-Minutes of Fame), Paul Neebe, and Orchestra 2001, and at festivals including Fresh Inc, NYC SongSLAM (2019 1st prize), Wintergreen Summer Music Festival and Academy, Charlotte New Music Festival, and Space City New Music Festival. Always interested in composing for contexts outside the classical concert hall, his works also include church music, jazz ensemble pieces, and musical theater. 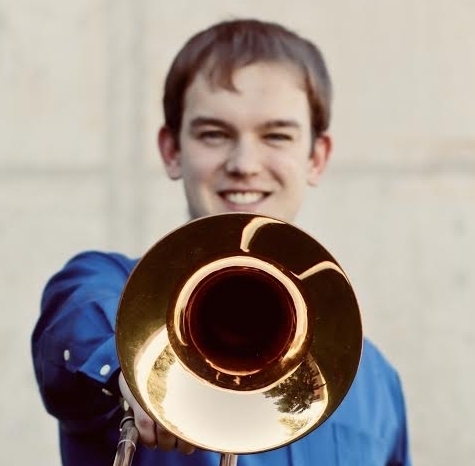 In addition to compositional activities, he performs frequently as a trombonist, pianist, and drummer. A native of Brewster, Massachusetts, on Cape Cod, Nathan holds an M.M. in Composition from Binghamton University, where he studied composition with Daniel Thomas Davis and trombone with Don Robertson, as well as B.A.s in Music and Economics from Swarthmore College, where he studied composition with Gerald Levinson, trombone with Paul Arbogast, and piano with Hans Lüdemann. When not doing something musical, he is likely to be running, playing basketball, or cheering loudly for Boston sports teams.